As they say: ‘Snowboard lessons? Check. Kids snowboarding? Check. Freestyle camps? Check. Backcountry guiding? Check’. Yes we do do it all! We aim to offer incredible snowboard experiences no matter what your level and as a business we strive to give you the best possible service both on snow with our snowboard instructors and throughout the booking process or any other contact you might have with MINT Snowboarding. We believe that our success lies in our awesome team of the best snowboard instructors as well as the crew running the show in the office and behind the scenes. So a big thanks goes out to the team! 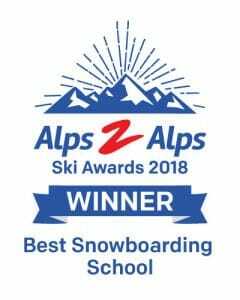 For the last two years we have been honoured to win the awards for ‘Best Snowsports School‘ at the prestigious World Snow Awards. 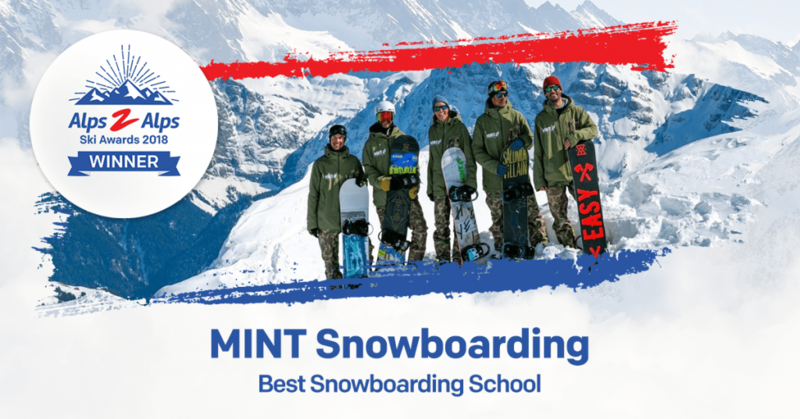 MINT Snowboard School won this award via public vote in both 2017 and 2016, despite being up against tough competition with some well known ski schools in the run up.